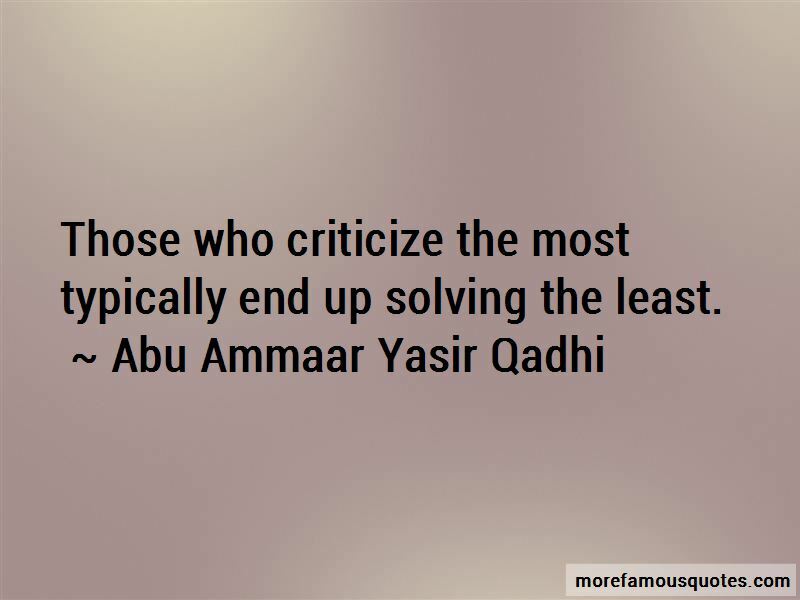 Enjoy the top 15 famous quotes, sayings and quotations by Abu Ammaar Yasir Qadhi. “The sweetness of this life is found in remembering Allah; the sweetness of the next life will be found in seeing Him. “Neither happiness nor grief are everlasting in this life-but one of the two is everlasting in the next. Which one do you want? “No human is perfect; we all have our hidden sins. Hypocrisy is to delude yourself into denying your own sins and allow arrogance to grow within you. “Strive for the Hereafter according to how long you shall remain there, and strive for this world according to how long you shall remain here. “All too often people concentrate on finding the right spouse, little realizing that half of any marriage is being the right spouse. 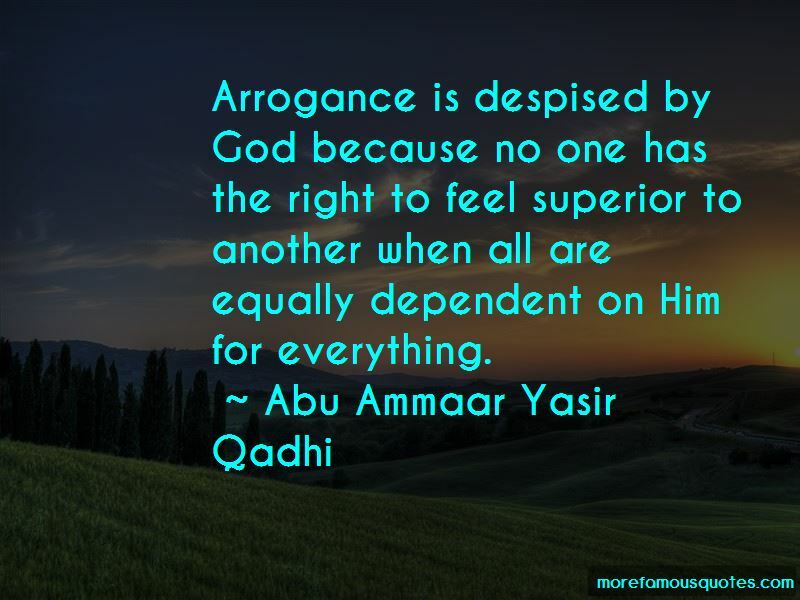 “It is not arrogance to appreciate what Allah has blessed you with; arrogance is to ascribe those blessings to yourself. 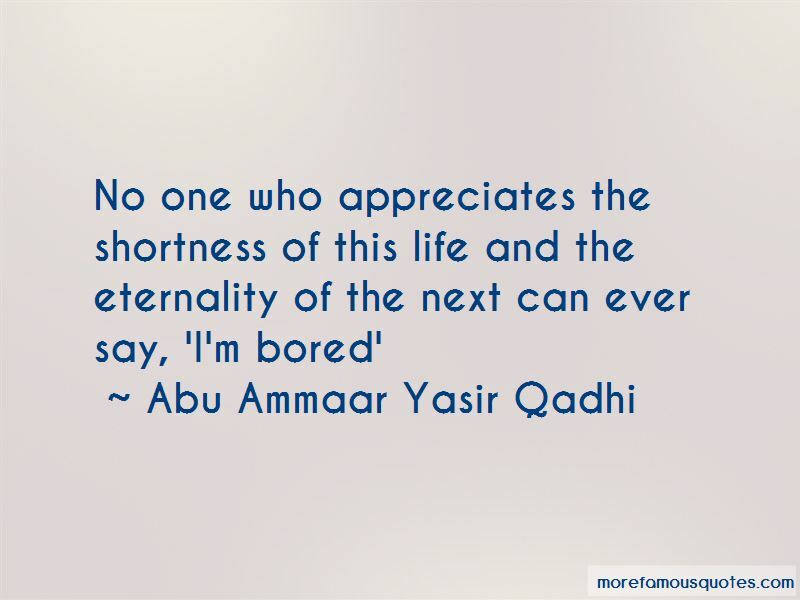 Want to see more pictures of Abu Ammaar Yasir Qadhi quotes? 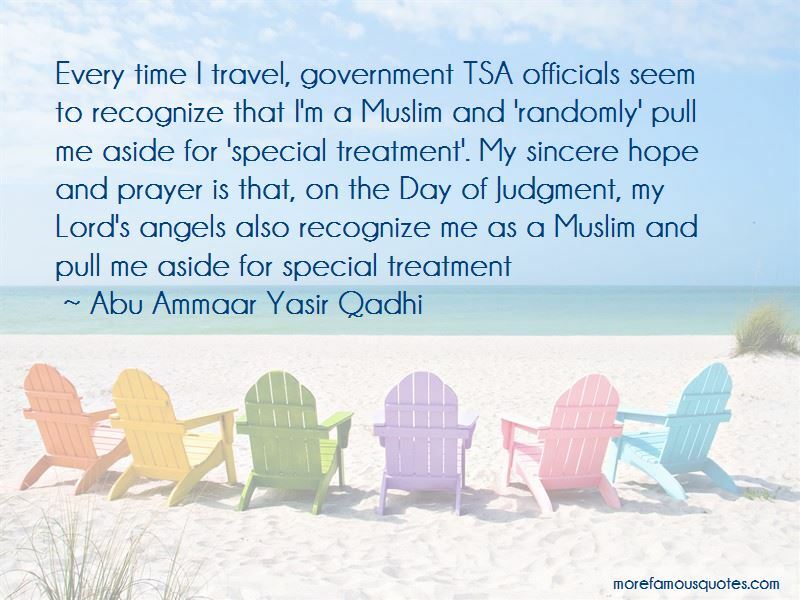 Click on image of Abu Ammaar Yasir Qadhi quotes to view full size.